Pride In The Park is set to come back on Sat 3 Aug 2019 with LGBTQ icon Kylie Minogue and Grammy Award winners Clean Bandit headlining the festival. Kylie Minogue is a true icon and ally of the LGBTQ community. She will be celebrating her 5th decade and bringing a very special Pride show to celebrate her first ever UK Pride performance and the 50th anniversary of the Stonewall Inn uprising that ignited the Pride movement. She has impressive record sales of over 70 million, a back catalogue that includes 14 albums and singles like “Wow”, “All The Lovers” and the career defining “Can’t Get You Out of My Head”. With an incredible range of styles, from soulful ballads to dance-pop anthems, Kylie has been embraced by queer fans for more than 30 years. 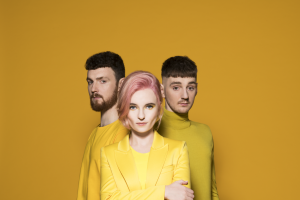 Clean Bandit will also be joining the stellar line up for the main stage at Pride In The Park. They started off as part of a string quartet and have consistently pushed the boundaries of modern pop with a diverse blend of electronic, dancehall, classical, R&B and pop. Their breakthrough success came in 2014 with the single “Rather Be”, feat. Jess Glynne, which earned them a Grammy that has now surpassed 10 million global sales. Further success came with their 10 million-selling single “Rockabye” feat. Sean Paul and Anne Marie shooting to #1 in over 40 countries. Their last single “Solo” feat. Demi Lovato has recently been nominated for two Brit Awards. The band have now notched up nine UK top five singles, more than Bruno Mars or Adele.